Recently, many of you have been asked to add personal questions to your account in order to improve account security. We’d like to remind you that you must choose answers that you will remember. If you are concerned that you will forget your questions and answers, we suggest writing them down and keeping them in a very safe location. You will be asked one or more of these questions in order to verify your account at some point, and if you cannot successfully answer your security questions, you will be locked out and will have to contact Customer Support via phone to regain access to your account. Is there anything I am not allowed to speak about? While we want to hear about your SWTOR impressions, we would suggest you talk about certain topics only in certain places. On the official site, we ask you to post story spoilers in the Spoilers Forum, which was created to allow discussion of the game story (without including spoilers in your thread title). Additionally, any feedback and bug reports from your personal gameplay impressions should be left in the official Game Testing Forums where developers can monitor and respond to it directly. Beyond the official site, we ask that you are respectful of the Game Testing Agreement, and of those who may not want to have the game story spoiled, and label your impressions as having spoilers if necessary. I want to reference a spoiler without discussing it in detail. How do I do that? Generally, if your impressions are mostly focused around the game’s story, you should post in the Spoilers Forum to ensure you won’t spoil others. If you are posting elsewhere on the official Forums and mention something you think may be a spoiler, you can use the appropriate spoiler tags ([spoiler]Spoiler text goes here[/spoiler]) to hide the spoiler from other community members. This way someone who doesn’t want to have information of the story can avoid potential spoilers, while those who are interested can still access your content. Any Forums thread that includes a story spoiler in the title will be edited to remove the spoiler, including those in the Spoilers Forum. If we believe that a community member is posting spoilers maliciously, their threads will be removed and they will potentially be given an infraction for violating Forums policy. What if I don’t want the story spoiled? On the official site, it would be wise to avoid the Spoiler Forum. Apart from that, spoilers that are part of general impressions or are otherwise posted outside of the Spoiler Forum will be marked with spoiler tags. What if I am unsure whether or not this is a spoiler? On the official site, if you are unsure as to whether or not you are posting spoilers, use the spoiler tags. This will hide the potential spoiler from public view unless the reader makes the active decision to read the hidden text. What if the video contains story spoilers? On the official site, please post any video links in the Spoiler Forum. Away from the official site, as a courtesy to other players, please label your video with the heading ‘Spoiler’. 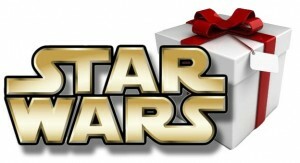 Gadget Review has a great list of the top 25 Star Wars gift ideas. Several of the gifts seem to be Legos, but there are some other ideas. I personally enjoy the Star Wars Lego sets, especially now getting to see my nephews put them together. I also did some looking on ThinkGeek.com. 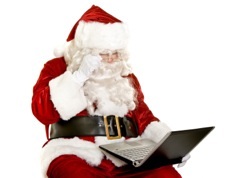 They have several gift ideas for that “geek” inside all of us. Below I have listed some of my favorites from their site. 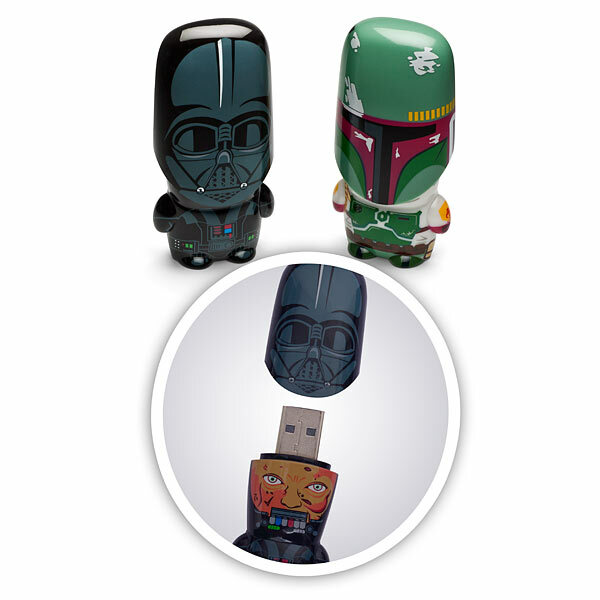 Star Wars Mimbot Thumb Drives – These are cute Star Wars gifts that have a practical application. Who couldn’t use some extra data storage for on the go? Having guests over for the holidays or maybe need a Christmas gift for someone who likes to cook? 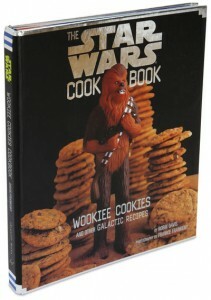 Well here is the perfect thing, The Star Wars Cookbook. From Jedi Juice bars to Greedo’s Burritos, this book will cover the food for the guests and also the gift for that adventurous cook. 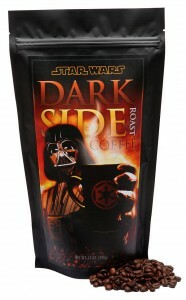 The last gift from ThinkGeek.com on my list, it covers the need for caffeine and also the Star Wars fan, Star Wars Vader’s Dark Side Roast Coffee. Perfect for that added jolt needed while playing Star Wars: The Old Republic or to help wake someone up after all-night run through the Eternity Vault. Perhaps you might pre-order the Prima Game Guide for Star Wars: The Old Republic at Amazon.com and give it to that gamer in your life. If any of you would like to send this me go ahead…shameless and completely kidding. 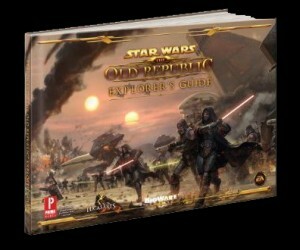 This hardcover guide would make a good edition to the Old Republic gamer, you know or are. So is there a Star Wars themed gift you are wanting or have in mind to get someone? Please share it with the rest of us in the comments below. Remember to checkout our two new writers and their weekly columns, My Two Credits and the newest column – Thom’s Thought Transmission. Both are really well written and thought provoking. Take some time and read them both through and leave your comments on what you think. The links to these and the rest of this past week’s articles are listed below. 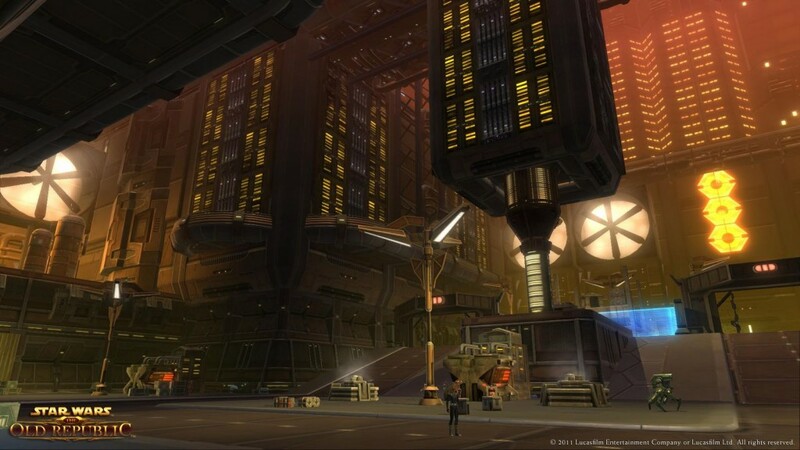 The image this week is of the Undercity of Nar Shaddaa. Probably not the best place to park your speeder. These lower levels and back alleys might be where the “sanctuary” of Nar Shaddaa ends on PVP servers. It is definitely not where you will find any of the “day after Thanksgiving sales” happening. TGN Network SWTOR – Great video site with every aspect of the game as we know from beta, quests, exploration, classes, PVP, flashpoints and more. TwitchTV also has many folks streaming game play. One I follow, from GameBreaker TV is Pokket. She has her very own TwitchTV game video stream. She has really done a great job of streaming SWTOR Beta, once the NDA was dropped. Check her site out. That’s all this week from the HoloNet Links. Are you all ready for launch? Have you decided on your starting class? Let us know in the comments below. Thom’s Thought Transmission: Sith or Jedi? Should You Buy “The Art and Making of Star Wars: The Old Republic”?